My Cluttered Corner: Snow Globes are NOT Just for Snow! Snow Globes are NOT Just for Snow! Like this bright rainbow shaker! I used the snow globe circle die to die cut several circles of bright patterned paper and then trimmed them to different widths and layered them inside the shaker. I curved the sentiment stamp on an acrylic block so I could stamp it around the circle. 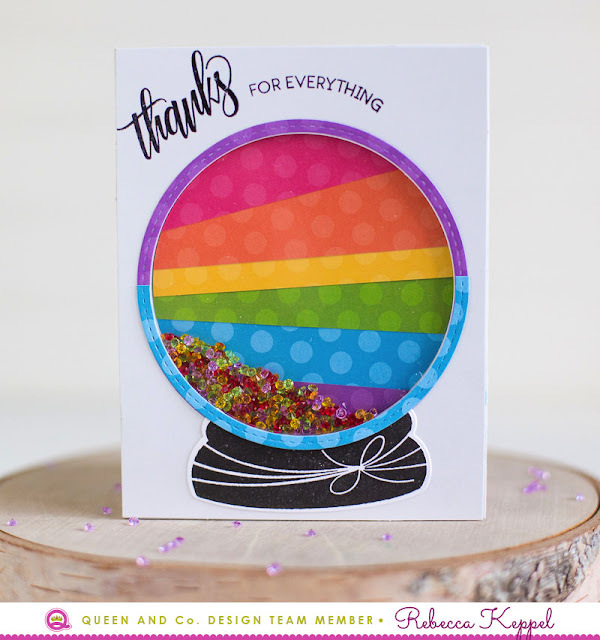 I also went for a non traditional snow globe look with this card. In fact I did not use the snow globe base so it is really just a circle shaker. 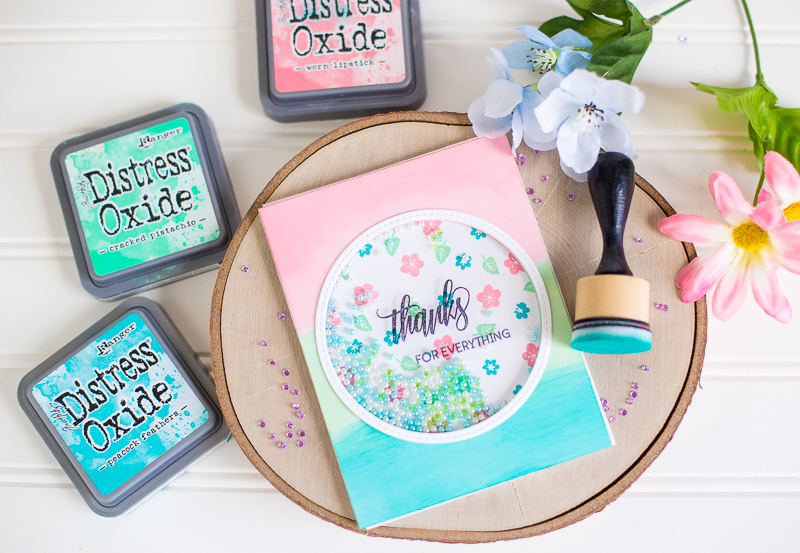 I also used some Distress Oxide Inks to create an inked card panel and used the same colors to stamp small flowers from the set inside the shaker. I used Staz On ink to stamp the sentiment right on the shaker window. 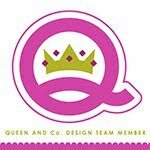 So, even if you're done with winter and snow, don't hesitate to pick up the Queen and Co Snow Globe kit for lots of fun shaker cards and then next year when you're excited about the first snow, you can pull the stamps and dies out again to start your holiday cards! 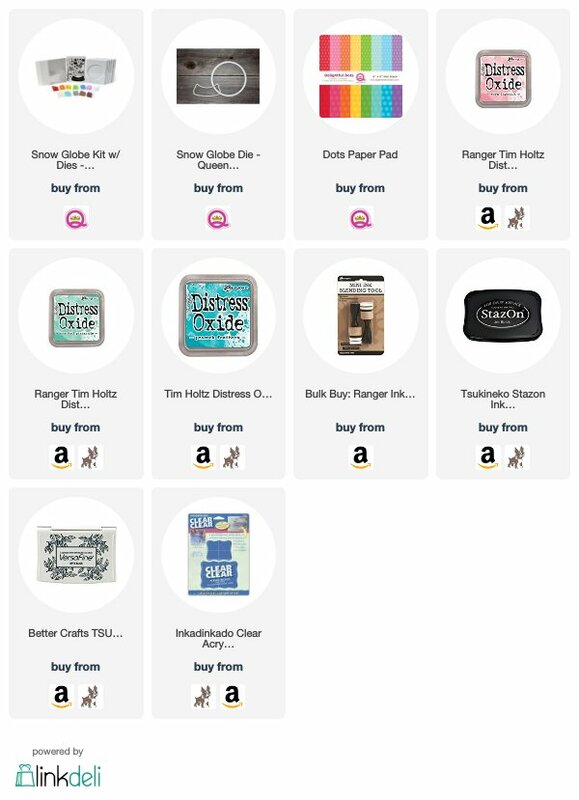 If you're interested in the supplies I used, they will all be linked down below. Thanks for stopping by!